Each chapter is focused on an aspect of healing, such as: Safety, Self-Soothing, Joy and Play, Hope, Reclaiming My Body, and Self Love. 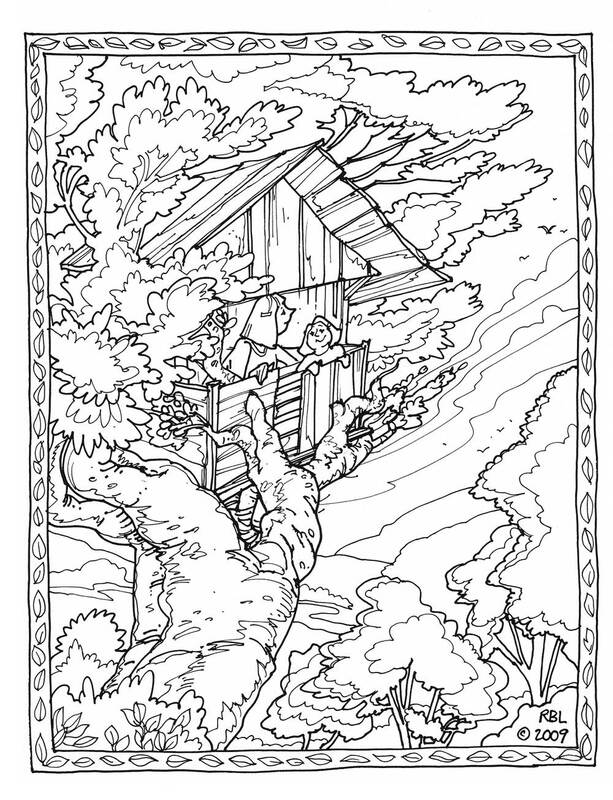 The coloring book is printed on heavy weight paper, suitable for a variety of art media, including watercolor. 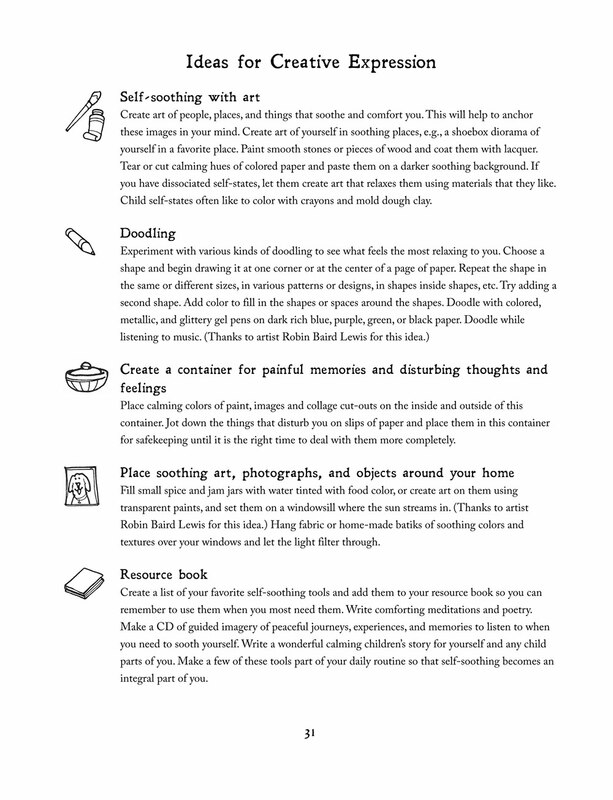 Chapters include a list of ideas to facilitate an aspect of healing, followed by suggestions for creative expression. As the reader applies art media to the images, their meaning can be deeply internalized to tap into the survivor’s infinite internal resources and to pave a personal path for healing. 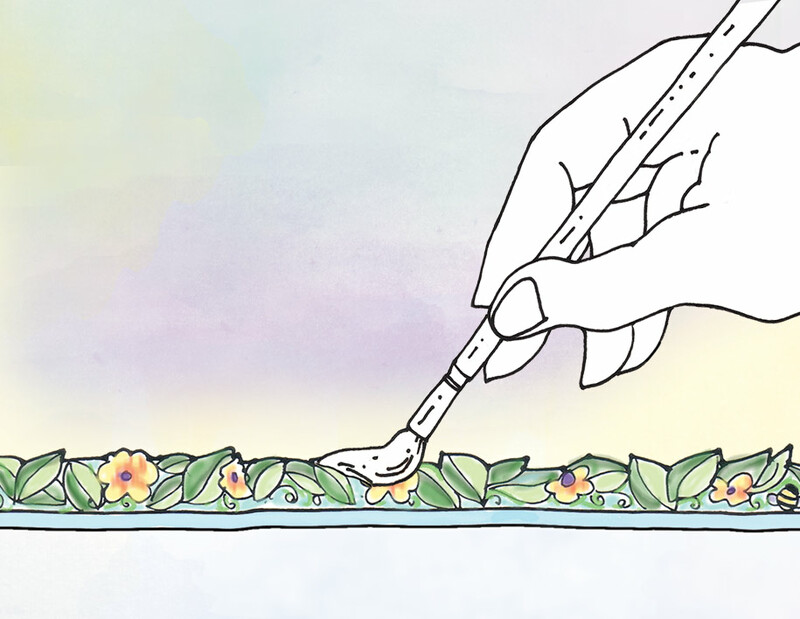 Healing approaches and tools shared in a fun and hope giving medium. 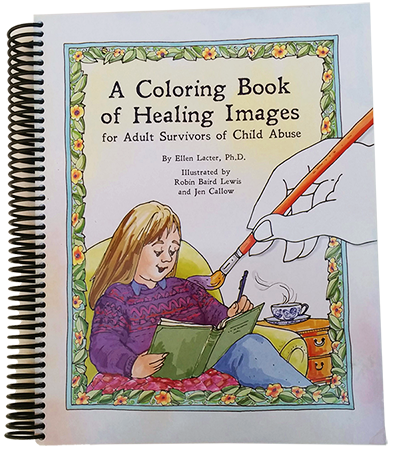 The images in this coloring book have been lovingly conceived and developed by the author and illustrators to bring healing to anyone who was abused as a child. The author has been observing, learning, and collecting "what works" for over 30 years. Each chapter begins with a page or two describing an aspect of healing. Next, most chapters include a list of ideas to facilitate that aspect of healing. This is followed by suggestions for creative expression. 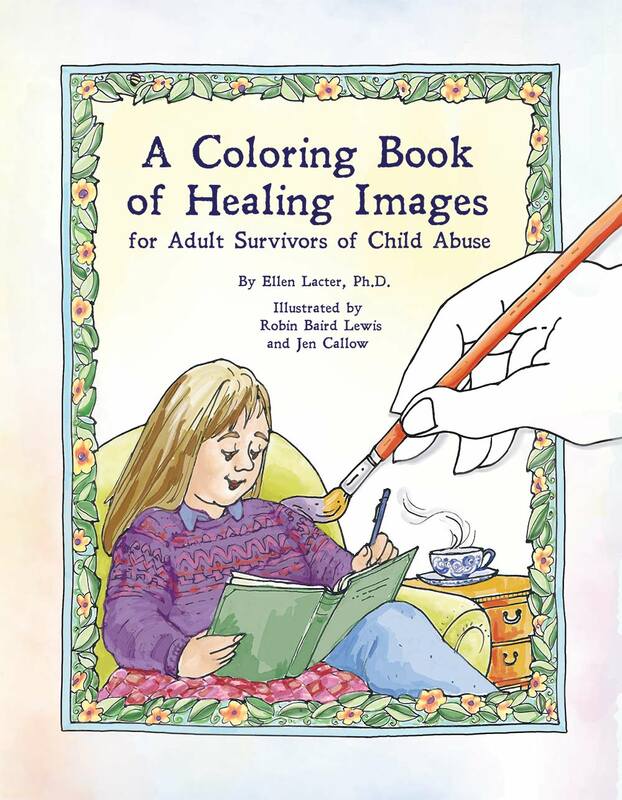 Then the coloring images are listed, each with a self-affirming intention. The next pages are a series of full-size healing images on heavy weight paper suitable for most art media. 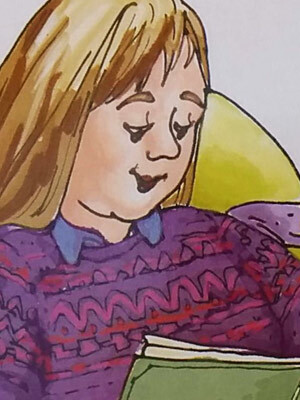 It is the hope of the author and illustrators that as the reader-artist colors these images and lingers on their meaning, all that they hold of value will be slowly digested and integrated into mind, body, and soul. Within each child abuse survivor are resources of intelligence, creativity, sensitivity, and wisdom which not only survived the abuse, but also likely developed in extraordinary ways because of the abuse. Our hope is that these messages and images will tap into these inner resources and help them realize their full potential. Pass the paints and crayons! Printed on heavy weight paper suitable for crayons, water-based (not acetone-based) markers, chalk and oil pastels, colored pencils, pastel pencils, and gel pens. Water-based crayons and watercolor pencils (e.g. Aquarelle) are suitable when working with a lightly moistened brush. “The books arrived yesterday and they look beautiful. Much thicker, and heavier than I was expecting, So much more than I thought I was getting! The paper quality is wonderful, I can actually use my water soluble crayons and a paint brush and the brushing doesn’t weaken the paper! And the page is thick enough that you can colour without the back picture being ruined. Yea! “These are so wonderfully written. Soooo much thought has gone into the writing, it’s just so reassuring when somebody gets the impact of trauma. I love all the ideas for creative expression that you’ve included. I love the explanations at the start of the chapters, they really set the scene. 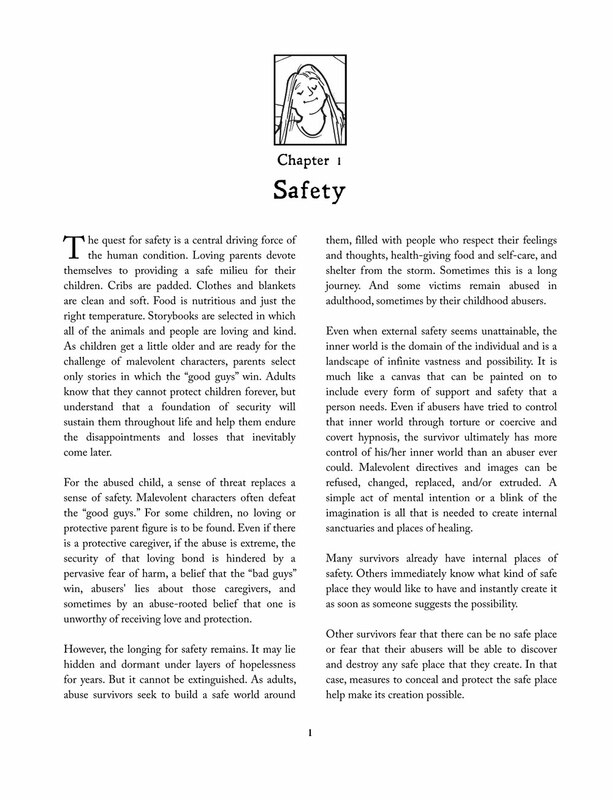 As I feel my self reacting to bits in the book, I can concentrate on the safety aspects that you’ve put in. The words are challenging but comforting at the same time, as it is with the words of people who get the real impact of trauma. “I’ve been a bit dissociative, mostly with excitement because it’s going to take me a long time to get through this book. Working on myself a little at a time, I won’t just finish it in a few weeks, it’s not a small book like I thought I was getting. I’ll be working on this for months and months and months! Yea !!!!! These are really good quality books. Thank you soooo much. This means a lot to me. With Warm thoughts. Select 1, 2, or 3 books from the drop-down menu in the form. Sales tax applicable to California residents. Save $2 per book by ordering two, and over $3 per book by ordering three. For direct orders of 4 books or more, or to ship outside the USA, contact us. © 2019 Ellen Lacter, Ph.D. All rights reserved.